It’s probably a good thing that Kershaw-Ryan State Park is located in remote Lincoln County because that allows it to remain one of the unspoiled gems in the state park system. Kershaw-Ryan is small—only 264 acres—so it could easily be overwhelmed by too much attention. Additionally, as several friends have told me, part of what they find attractive is the fact that you can go there and feel like you’ve discovered something not everyone else knows about. Despite the fact that Kershaw-Ryan is little known, especially in Western Nevada, it is one of the oldest state parks. 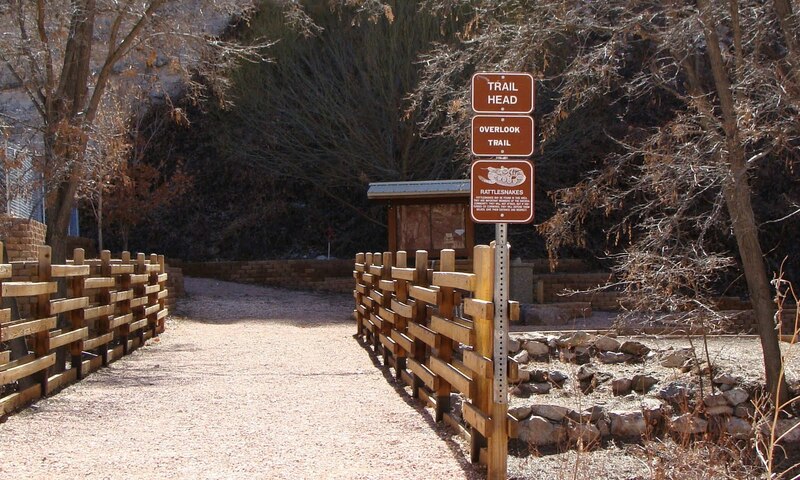 The park encompasses Kershaw Canyon, which was named for Samuel and Hannah Kershaw, who homesteaded the area in the 1870s. The Kershaws took advantage of the presence of natural springs in the canyon to plant a variety of fruits and other crops—a few of their century-old apple trees can still be found in the canyon. From 1892 to 1904, a post office and a small settlement were located near the canyon. In 1904, the Kershaws sold their holdings to James Ryan of Caliente. In 1926, the Ryan family donated about 40 acres of the canyon, which was then known as Kershaw Gardens, to Nevada for use as a state park. In June of that year, Kershaw-Ryan was opened to the public. The park was enlarged by exchange of lands between the state of Nevada and the federal government. Additionally, in the 1930s, the Civilian Conservation Corps developed picnic sites and a small pond at the park. When the state formally created the Nevada State Park system in 1935, Kershaw-Ryan joined Valley of Fire, Cathedral Gorge and Beaver Dam as the state’s first official state parks. During the next few years, a campground, covered group use area, water system, restrooms and trails were developed at Kershaw-Ryan. The steep cliffs of Kershaw Canyon, in fact, are impressive—layers of colored stone that are similar to the namesake walls of nearby Rainbow Canyon. Both Kershaw and Rainbow canyons were created by water that carved deep crevices in the bedrock. Until about 10,000 years ago, large lakes covered the nearby Meadow Valley Wash area. Uplifting and changes in the climate eventually drained the lakes, leaving behind the colorful canyons. According to the park’s web site, Kershaw-Ryan is home to four different plant communities including riparian species like willows, dogwood, and cottonwoods, which grow on the cool, damp canyon floor, as well as desert shrub plants, like sagebrush and rabbitbrush, which grow just outside the canyon. A substantial number of animals, reptiles and migrating birds are attracted to the canyon because of the presence of water and vegetation, so it’s not unusual to spot deer, mountain lions, and coyotes. Over the years, Kershaw-Ryan has been the site of several flash floods, including major flooding in 1984 that destroyed nearly all of the park’s developed facilities. As a result of the flood damage, the park was not able to reopen until 1997, when a new picnic area, restrooms, and trails were built. There are three developed, fairly easy hiking trails in the park including the one-mile-long Canyon Overlook Trail (which offers the best views of the cliffs), Horsespring Trail (a half-mile route) and Rattlesnake Canyon Trail, which is about a half mile. Kershaw-Ryan State Park is located three miles south of Caliente via U.S. 93 and State Route 317. The park is open year-round, although it can be cold (elevations at the park range from 4,312 feet to 5,080 feet) in the winter months. The park has day use picnic sites as well as two group use areas. It also has a 15-unit campground with restrooms, coin-operated showers and an RV dump station. For more information, go to http://parks.nv.gov/kr.htm. The McDonough Voice in Macomb, IL, where I live, had a nice story about my latest Nevada book. 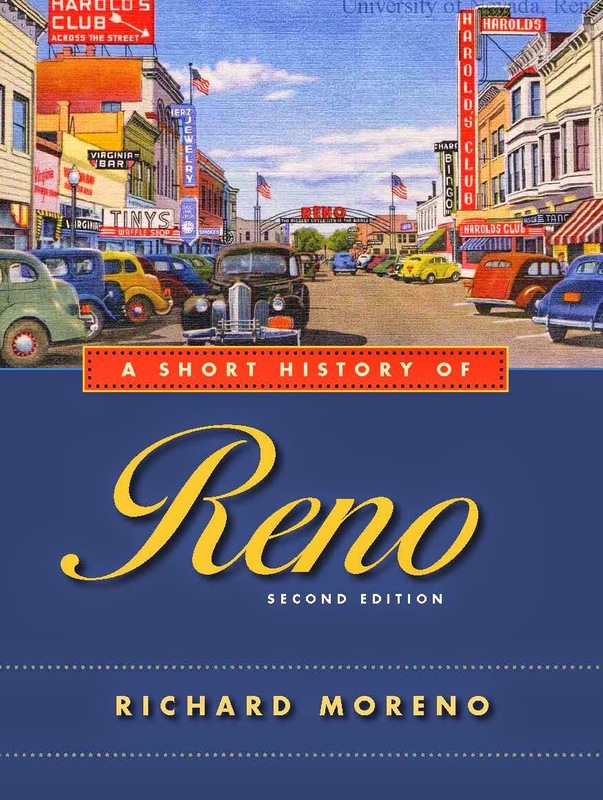 Check it out at http://www.mcdonoughvoice.com/newsnow/x481350268/Moreno-pens-Nevada-travel-book.